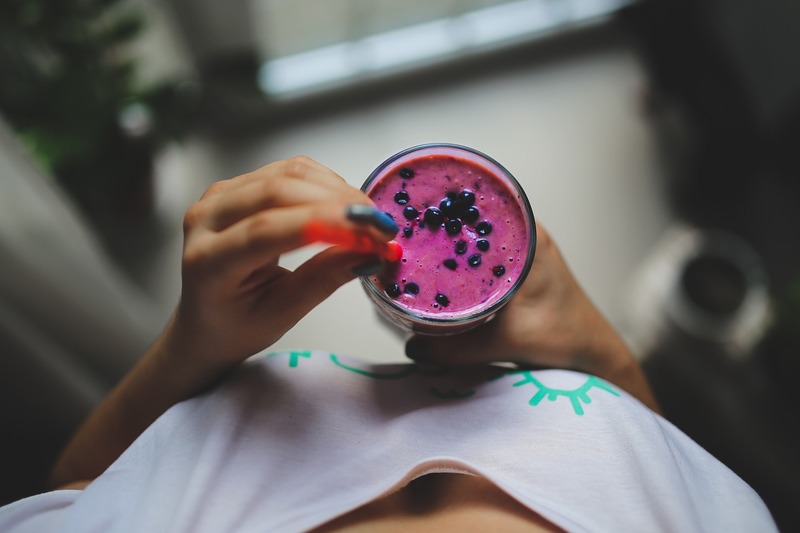 When you add the consumption of fresh fruit and vegetable juices to your daily routine, you’ll see changes in just about every aspect of your physical well-being, including how much you weigh. There are three main ways juicing helps you become slim and healthy. √ 1. Through juicing, you can absorb the nutrients in vegetables more easily. Most of us have a less-than-perfect digestive system because of years of eating junk food. It can be difficult to digest solid vegetables to the point where your body can absorb all of the nutrients. Juicing helps to break the plant matter down so that you receive the maximum amount of nutrition, rather than passing nutrients out along with undigested fiber. √ 2. Juicing is a great way actually to be able to eat the recommended daily servings of fruit and vegetables. If we set out to eat the amount of raw fruit and vegetables that would be the most beneficial to our bodies, we would need to eat many plates of greens each day. Additionally, it’s a fact that many of us simply don’t like eating vegetables. Juicing is an efficient and palatable way to consume these nutritious foods. Fans of juicing often say they like to eat their fruit but drink their vegetables. √ 3. Juicing tells your body that you’re full, so you consume fewer calories than you would otherwise. When your body is properly nourished, your appetite has a tendency to settle down. If you’re constantly hungry and munching on food, it could be that your body is crying out for nutrients. Juicing also gives you increased energy that helps to fuel an active lifestyle. If you’re new to juicing, you might be hesitant to run out and spend hundreds on a high-quality juicer. Juicers typically start at $100 on the low end of the scale. You can often find gently used juicers for sale at online auction sites or even at garage sales. Masticating juicers move more slowly than spinning centrifugal juicers, but they’re better at preserving vegetables’ nutrients. They also squeeze a lot more juice out of greens than centrifugal juicers do. Cleanup is typically easier with masticating juicers. You can enjoy fresh juice any time of the day. A typical routine is to drink a glass of juice in the morning before your morning coffee. Then you can have a glass of juice as a liquid snack after dinner. Some people like to make flavorful juice in the evenings to have in place of cocktails. Of course, if you’re embarking on a juice fast, you’ll be drinking juice all day long. To prepare fruit or vegetables for juicing, first, wash everything thoroughly. Most items don’t need to be peeled, although you should remove the cores of apples and pears. Oranges or lemons should be peeled, leaving as much of the white pith on as possible (it contains large amounts of bioflavonoids and vitamins). You can leave cucumber peels on but only if the cucumber is organic. Chop everything into pieces that are small enough to fit into the feed tube of your juicer. There is no real right or wrong way to juice. One method is to alternate juicy items with drier items. For instance, after juicing a bunch of greens, juice an apple or orange; this way any remaining juice from the greens will wash down into the blend. If you’re juicing a bunch of carrots and a cucumber, alternate feeding in pieces of carrot with pieces of the cucumber. An important rule of thumb that successful juicers swear by is always to clean the juicer before drinking the juice. There are few things worse than trying to scrub off dried-on pulp. After juicing, you’ll be left with a bunch of colorful pulp. Many people feel bad about wasting this material. You can compost the pulp or even reuse it in recipes. The Internet is rich with recipes for baked goods, soups and salads that use the pulp from juicing. Some people keep the pulp in the refrigerator and add it to their smoothies. Simply toss the carrot pulp, lemon juice and olive oil together. Mix in some raisins if desired, and top with the slivered almonds. This salad can be eaten alone or served on a bed of leafy greens. What to do with Leftover Fruit and Vegetables? At the end of the week, before your next trip to the grocery store or farmers market, consider doing a clean sweep of the fruit and vegetables in your fridge or pantry that might be near the end of their life spans. Toss them in the juicer and see what kind of nutritious concoction ends up in your glass. What to Juice to Burn Fat and Lose Weight? When it comes to juicing for weight loss, it’s important to focus on alkaline foods, which most vegetables happen to be. Fat cells are storage centers for acids. It’s believed that when your pH becomes more alkaline, your body lets go of the acid-containing fat cells. If you’re afraid that you’re going to have to drink some nasty tasting all-vegetable juice, don’t worry. Fruit is used in the majority of juices to add sweetness. If you’re new to juicing, start with vegetables that you’d be happy to eat raw. This is probably why carrots are at the heart of many juicing programs. and a half-inch piece of ginger. If the main reason you’re juicing is to lose weight, you have to avoid fruit and vegetables that are high in sugar. The vegetables to avoid are ones you typically wouldn’t juice anyway, such as potatoes. Just about any other fruit or vegetable is good to go. This drink contains cucumber and celery, two of nature’s best diuretics. Directions: Cut all ingredients to fit into your juicer’s feed tube. Then pour the juice into a glass and enjoy. The snappy flavors of this juice will wake you up and rev your metabolism. Directions: As always, chop, juice and drink! If you know you like ginger, you can use an inch of it instead. Losing some water weight can be a nice boost to your weight loss efforts. This drink is filled with natural diuretics, including cucumber, asparagus and lemon. Think of this as a healthier bloody mary. Directions: Chop and juice the first four ingredients. Stir in the hot sauce after you’ve poured the juice into your glass. The last step is to make a toast to your health. Our mothers always told us to eat our vegetables because they’re good for us, and they were right. When you maximize your consumption of fruit and vegetables with juicing, you’ll experience the fantastic effects of optimal nutrition, including weight loss.